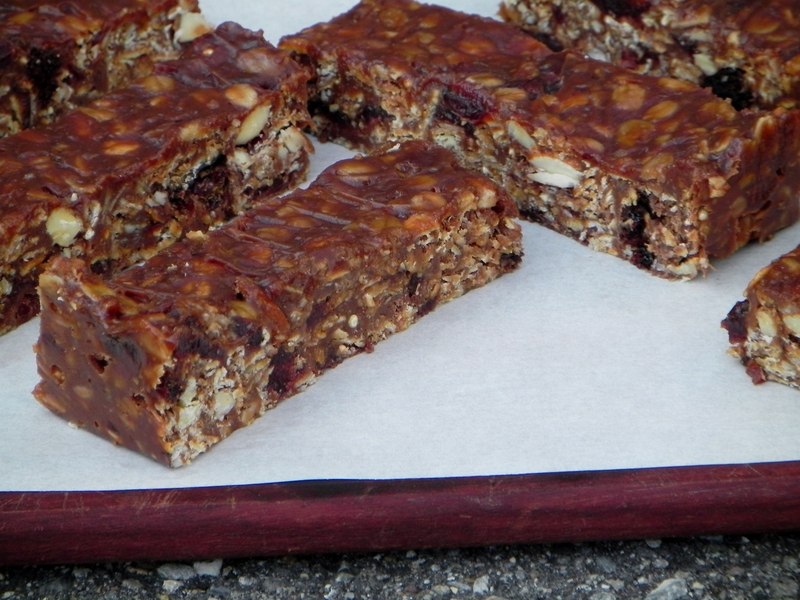 In today’s grocery store, granola bars come in all shapes, flavors and sizes. They are a staple snack in most families’ pantries because they are an easy on-the-go snack that taste good. 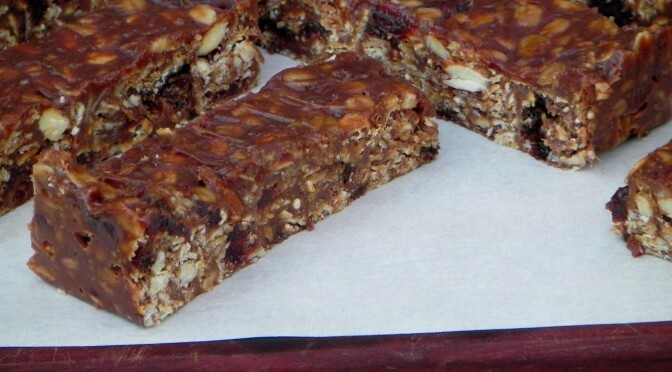 But despite their flavor, most granola bars are packed with extra ingredients that don’t add flavor or nutrition. Also, they are expensive! 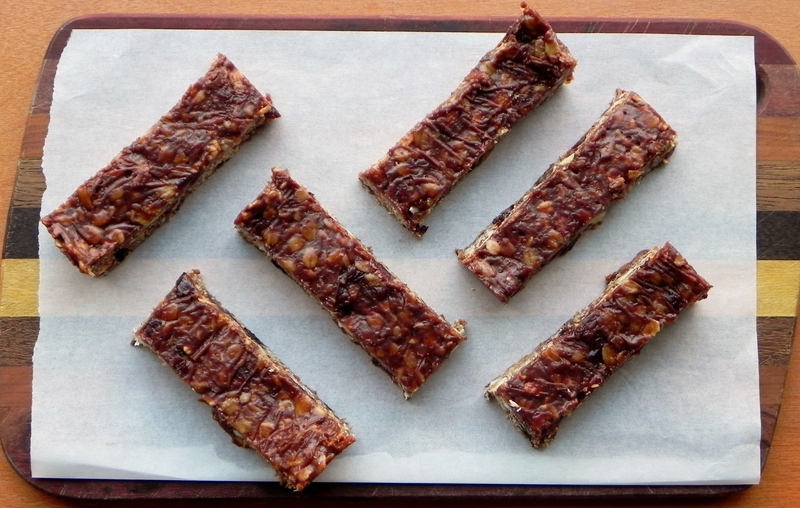 So why not grab a bag of granola and make your own granola bars? Our cherry almond granola has the most protein (6 grams per quarter cup), so using it as the base of your granola bar will keep you full longer. To take granola and mold it into a granola bar, you’ll need to heat honey and almond butter and mix them together until emulsified. Add all the dry ingredients in a mixing bowl and mix well. Pour the honey/amond butter blend over the dry ingredients and mix together. 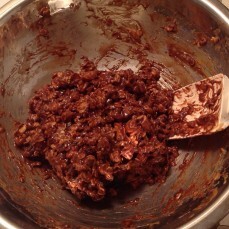 Mix the honey/almond butter blend with the dry ingredients until it all comes together and ready to be formed in a pan. Combine the first ingredients in a medium mixing bowl and mix together. Next, add the honey and butter in a measuring glass and microwave for one minute. Stir the honey and almond butter until they have come together and emulsified into one mixture. 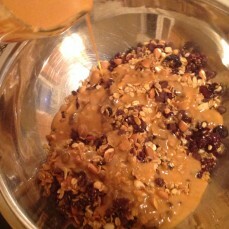 Pour the honey/almond butter mixture into the bowl and combine all ingredients well. Once ingredients are combined, oil a 8″x8″ pan and spray with oil. 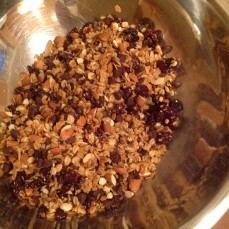 Scoop the granola bar mix into the pan and push it firm into the pan. Refrigerate for an hour and then cut into small servings. Keep bars in the refrigerator for up to 4 weeks. Honey Pecan Fried Chicken w/ Homemade Honey Mustard. Sincere congratulations on your sweet baby Henry. He’s a lucky little fellow who will be cherished by his extended family.